With industrial credit growth slowing, banks are focusing more on retail customers, where first-time borrowers make up nearly half of all new retail applications. 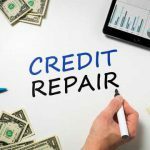 However, such applications are approved only when they are backed by a credit bureau score and a report supporting the customer’s income claim and repayment record. Yet, traditional credit bureaus are unable to determine an ideal score for many borrowers who are young, and have few transactions with banks. Credit scorers such as CreditVidya and Lenddo use alternative measures to assess credit risk, typically analysing a borrower’s Internet footprint, social media behaviour and employing other means such as psychometric tests. CreditVidya says it looks at data sources ranging from behavioural, transactional, location and social profiles to assess the risk of an individual. This could be, for instance, a check on whether a loan applicant checks office e-mail from a place where she says her office is located. The bureau says its engine runs basic searches around the Internet to verify the applicant’s employment, spending habits and cash withdrawal rates from ATMs. “Consistency of a particular behaviour among these data points demonstrates stronger stability of a customer,” said Abhishek Agarwal, co-founder and chief executive officer, CreditVidya. Hong Kong-headquartered Lenddo, another credit assessment firm, says it uses psychometric tests and application form analysis as tools to check credit risk. The company, which works in 20 countries around the world, is focusing purely on small-value loans between Rs.1 lakh to Rs.8.5 lakh in India.